Just last week, the Internet went into a frenzy after seeing a simple picture of an egg becoming the most-liked Instagram post of all time, beating out previous record holder Kylie Jenner and her picture of Stormi. “World Record Egg” originally posted a picture of an egg on January 4 with the aim to take down Kylie. It currently sits just shy of 50 million likes, while the account itself has over 8 million followers. Kylie’s baby pic on the other-hand hit North of 18 million. 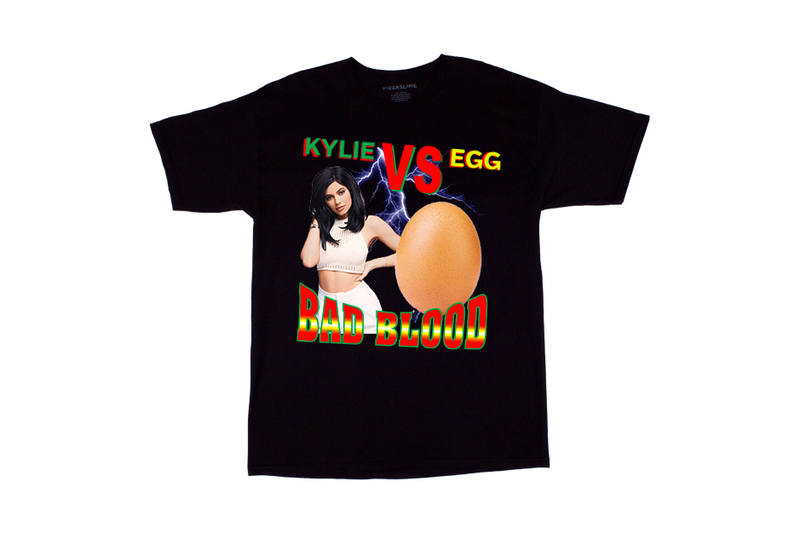 To celebrate “The battle of the f*cking Millennium,” PizzaSlime has comically created a “Kylie Jenner vs. Egg” T-shirt featuring pictures of both the aforementioned with “Bad Blood” strewn across the all black item. Interested fans can head over to PizzaSlime.com to purchase the “Kylie Jenner vs. Egg” T-shirt for $40 USD. The item will ship in 5-10 business days. For more comical items, PizzaSlime also created a #MuteRKelly shirt.